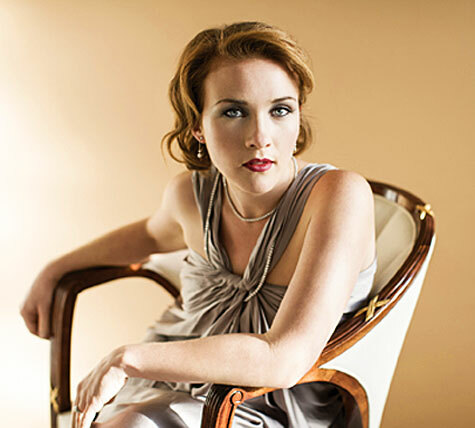 Grammy Award-winning mezzo soprano Sasha Cooke brings her versatile repertoire and love of new music to the stage of the Lawrence Memorial Chapel Saturday, Feb. 24 at 8 p.m. in the second concert of Lawrence University’s 2017-18 Artist Series. Cooke, the 2010 winner of the prestigious Marian Anderson Vocal Award, has performed works of Gustav Mahler to great acclaim on four different continents. Hailed as “equal parts poise, radiance and elegant directness” by Opera News, Cooke has become a highly sought-after talent by many of the world’s leading orchestras, opera companies and chamber music ensembles. Cooke earned a Grammy Award in 2012 for her work on the Metropolitan Opera recording of “Doctor Atomic,” an opera that examines the stress and anxiety experienced by the scientists involved with the development and initial test of the first atomic bomb. “Doctor Atomic” has been a work featured in Lawrence’s Freshman Studies program.